And One More Thing . . . | Russellink. And One More Thing . . . – Russellink. Home » Distance Learning » And One More Thing . 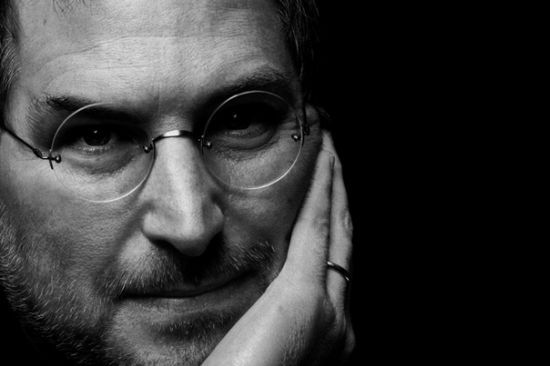 . .
Steve Jobs would introduce the next Apple creation and leave the best for last. He would reveal something new by saying, “And one more thing . . .” I feel that we are on the verge of a wave of new instructional technologies. This will make learning online a smart choice for most adult learners. My first semester in graduate school involved two writing courses, one was online and the other was a face-to-face traditional class. Several graduate students shared both classes. By the end of the summer semester, the students who took both the online and the traditional class compared notes and agreed to a more intimate learning experience online than in the classroom interaction. The reason may be the online professor’s ability to create community in a distant environment. Skillfully written discussion thread questions prompted students to comment beyond the three required posts. A class blog did not add busy work, but more ways to interact and learn from each other. The professor would then synthesize the posts into something with take away value. The online course requirements fostered a cohesive cyber writing group that lingered beyond the grade posting. In the traditional class that same semester, the same collegial connection was absent. An interaction in the Wired Campus blog on The Chronicles of Higher Education, a Kennesaw State University study was conducted to determine how to keep students from dropping out of online courses. The post begins, “Nothing works.” The original published in The International Journal of Management in Education by professors in the Coles School of Business, concluded that students drop out of an online class at a rate 12-percent to 20-percent higher than traditional classes. The study by the team of business professors was set up to discover retention strategies. They tried calling students, quizzing on the syllabus and tour-guiding through the virtual classroom. They attempted to connect students in small groups calling for team projects. Parry reports the study concluded that nothing mattered and none of it worked. The results seem to blame the students and not the online class management and teaching style. Marc Parry, the blogger reports the conclusion of the researchers, ‘“If someone was going to drop out of the class, they were going to drop out of the class,’ says Stacy M. Campbell, assistant professor of management at Kennesaw State” (Parry, Preventing Online Dropouts). However, another online learning expert Ray Schroeder, director of the Center for Online Learning, Research, and Service at the University of Illinois at Springfield assigns program coordinators or online student peer mentors to help students navigate an online course. The blogger concludes with input from Mr. Schroeder, “The practices tried by Kennesaw State promote engagement and deeper learning . . . but they could be more directly focused on preventing dropouts (Parry, Preventing Online Dropouts). New ways of teaching online are emerging. Research at Texas Technical University by Dr. Rich Rice is producing new ways to respond to student’s writing online. In his studies of andragogy (the study of teaching adult students) he is creating with Dr. Fred Kemp “Smart Casting.” “Smart Casting,” according to Rice is “a media interface that allows for ‘just –in-time’ video to be delivered at the point of need. It is target content and high production quality content that is attached to teacher’s commentary on a student’s writing” (Rice). Comments are specific and fit the needs of the student. Rice says in his audio file describing his research interests, Instead of generic comments or content at beginning of writing process we are trying to deliver specific content in the middle of writing process. If doing this when you provide comments and the type of comments perhaps supplementing with video or audio. Other research includes using electronic portfolios (selection collection of work) allowing students to have a portal to have reflective writing in final work. Another area he is adding to the research to discover ways to provide new support mechanism for distance learning students working on difficult topics such as the students in the only online Technical Communication and Rhetoric programs (Rice). Another lingering attitude about distance learning is that students would rather be in a traditional class, but because of lifestyle issues they must take online classes. The facts are the demand for online courses exceeds what is currently being offered. According to a report in Online Learning, the number of “students who learn online has tripled in a decade” (6 Online Learning Trends B21). This patronizing among academics might hinder the development of inventive online teaching strategies. Personally, I would rather take an online class for many reasons beyond my schedule. I learn better and have time to savor the truths. I interact better on discussion boards than in a traditional class discussion. I simply will not compete in that environment. I am sure my learning style is more suited to online learning and another student does better pontificating in front of peers. The simple truth is online education is growing for whatever the reason. In a study managed by the Babson Survey Research Group for Going the Distance: Online Education in the United States, 2011 based on responses from more that 2,500 colleges and universities, the results show that while online enrollment has slowed in 2011, the overall growth rate far exceeds the growth of traditional enrollment. “The ten percent growth rate for online enrollments far exceeds the less than one percent growth of the overall higher education student population.” In addition the study found, “Thirty-one percent of all higher education students now take at least one course online” (Allen, p. 8). The 2011 report offers proof, “That number is now sixty-seven percent of academic leaders rate the learning outcomes in online education as the same or superior to those in fact to face (Allen 9). The slate blackboard, invented in 1801 by James Pillans, headmaster of the Old High School of Edinburgh, Scotland, was considered innovative. In 1841 Josiah F. Bumstead said, “The inventor of the blackboard deserves to be ranked among the best contributors to learning and science, if not among the greatest benefactors of mankind.” (The Blackboard) It took forty years for educators to recognize to significance of using a visual tool in teaching. In 2011, the Internet has become ubiquitous and an effective tool for education in less than forty years. With all the challenges associated with accreditation of online institutions and the problems of putting “old wine into a new wine skin” distance learning, it is a new frontier that will redefine the way we teach and the way students learn. We are standing at an intersection that really needs a merge lane. We don’t need to decide one way or the other; we need both cautious observation and full Internet speed ahead. I would like to see how Steve Jobs might have changed education the way he changed the telephone, music and movie industry. We have educators taking up the “imantle” that Jobs left behind. These educators are innovating ways for students to learn and professors to connect while expanding the definition of rhetoric in a new age. Who will have the courage in the academe to change the way we teach online? There are better ways to teach online yet to be envisioned – things not yet written on the “page.” Techniques that will use digital wisdom to create rewarding online class experiences. Students will want the online experience, not because it fits a work schedule, but it may just be the better way to learn. “6 Online Learning Trends.” The Chronicle of Higher Education 11th ser. 11 (2011): B20-21. Print. Allen, J. Elaine. “Going the Distance: Online Education in the United States, 2011 | The Sloan Consortium®.” The Sloan Consortium® | Individuals, Institutions and Organizations Committed to Quality Online Education. Babson Survey Research Group Babson College, 2011. Web. 07 Dec. 2011. <http://sloanconsortium.org/publications/survey/going_distance_2011>. Bunge, Nancy. “Why I No Longer Teach Online.” The Chronicle of Higher Education 11th ser. 11 (2011): B36. Print. Kelderman, Eric. “Oversight on the Rise.” The Chronicle of Higher Education 11th ser. Nov (2011): B4-B5. Print. Mendenhall, Robert W. “How Technology Can Improve Online Learning – and Learning in General.” The Chronicle of Higher Education 11th ser. 11 (2011): B23-25. Print. Mims, J. “The Term “Digital Natives” – OwnLocal.com.” Own Local – A Newspaper & Local Market Software Company. Web. 07 Dec. 2011. <http://ownlocal.com/newspaper-support-group/the-term-digital-natives/>. Parry, Marc. “Online-Course Enrollments Grow, but at a Slower Pace. Is a Plateau Approaching? – Wired Campus – The Chronicle of Higher Education.” Home – The Chronicle of Higher Education. 9 Nov. 2011. Web. 07 Dec. 2011. <http://chronicle.com/blogs/wiredcampus/online-course-enrollments-grow-but-at-a-slower-pace-is-a-plateau-approaching/34150>. Prensky, Mark. “Digital Natives, Digital Immigrants.” On the Horizon 9.5 (2001): 1-6. Print. Prensky, Mark. “Digital Natives Digital Immigrants, Part II: Do They Really Think Differently?” On the Horizon 9.6 (2001): 1-9. 2001. Web. 5 Dec. 2011. <http://www.rtmsd.org/744112551813560/lib/744112551813560/Prensky_-_Digital_Natives,_Digital_Immigrants_-_Part2.pdf, p. 1%u20139.>. Prensky, Mark. “H. Sapiens Digital: From Digital Immigrants and Digital Natives to Digital Wisdom.” Journal of Online Education (2009): 5. Web. Rich Rice. Texas Tech University PhD. Program. Web. 5 Dec. 2011. <http://www.english.ttu.edu/tcr/Media_Files/rice.mp3>. Podcast introducing Dr. Rice to explain his research interests. “The Blackboard.” Web page. MEAPA. http://meapa.com/toolbox/the-blackboard/. 5 Dec. 2011. Web.